The type of anaesthesia we conduct on our patients is a general intravenous one, to which we add one or several local-regional anaesthetic techniques. 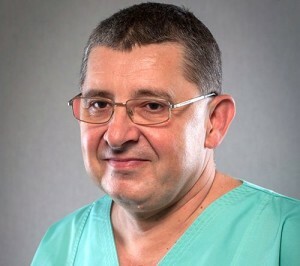 Anaesthesia is administered by Dr Valentin Munteanu, a primary anaesthetistwith a rich professional experience. This general intravenous anaesthesia ensures the patient’s safety and comfort during the intervention so as to overcome, fearlessly and painlessly, the difficult time of the intervention. For this anaesthesia to be conducted successfully, during a discussion with the anaesthetist, prior to the procedure, the patient will inform her about their pathological and anaesthetic history, about the chronic conditions they have and the medication they undertake. This will enable the anaesthetist to develop a patient-centred anaesthesia plan. Moreover, the patient will receive an e-mail from the anaesthetist containing the tests recommended for the patient with a view to the intervention, anaesthesia, and the diet they should adopt the day before and during the day the anaesthesia is performed. At the beginning of the anaesthetic procedure, a venous catheter is attached on the patient’s left hand via which anaesthetic medication will be administered during the intervention. They are perfusable hypnotic, analgesic, anti-inflammatory, anti-emetic, antibiotic, hydro-electrical solutions. Throughout the anaesthesia, the patient’s vital functions are monitored, e.g., electrocardiogram, heart and breathing rate, blood pressure, peripheral oxygen saturation, all these being conducted so as the patient is completely safe during the anaesthesia and the dental surgery. At the end of the anaesthesia, the anaesthetist will provide the patient with an analgesic treatment plan for five post-operative days so as the patient remains painless after the surgery and enjoys comfort and a well being state. The anaesthesia team, i.e., the anaesthetist and the specialised nurse, have all the medication and equipment required for the performance of anaesthesia in ambulatory, safely and comfortably for the patient. Dental implant or prosthetic device?